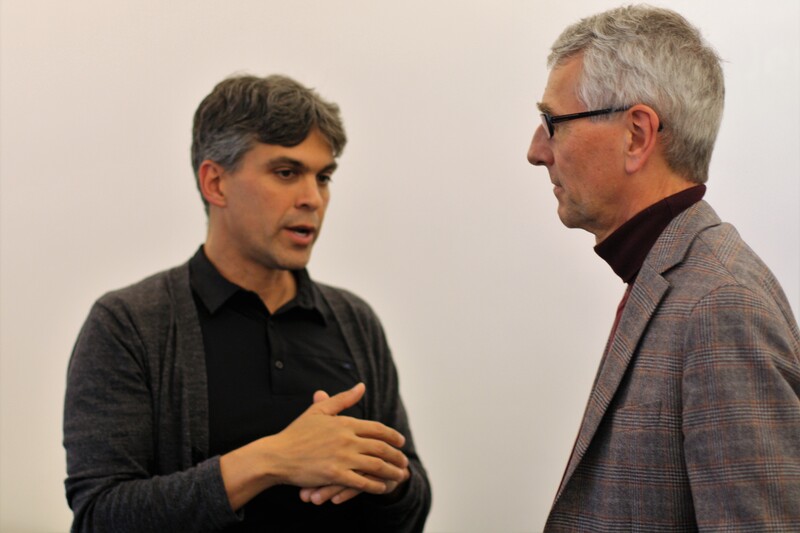 Enrico Ramirez-Ruiz inaugurated his Niels Bohr Professorship and former DNRF center leader, Jens Hjorth, inaugurated his Villum Investigator Grant with talks and a reception at the Niels Bohr Institute on October 25. The weeks preceding the event were particularly euphoric and work intensive for the two host researchers, as they were both involved in the sensational discovery of radiation and gravitational waves from a so-called kilonova, the collision of two neutron stars, 140 million light years away from Earth. Among the important findings from the collision was the presence of heavy elements, for instance gold, originating from the collision. You can read more about the kilonova discovery here. As a theoretical astrophysicist specializing in transient astrophysics, Niels Bohr Professor Ramirez- Ruiz’s work has been central to developing models and simulations that can explain what happens in cosmic events such as the kilonova. You can learn more about Ramirez-Ruiz and his research here. 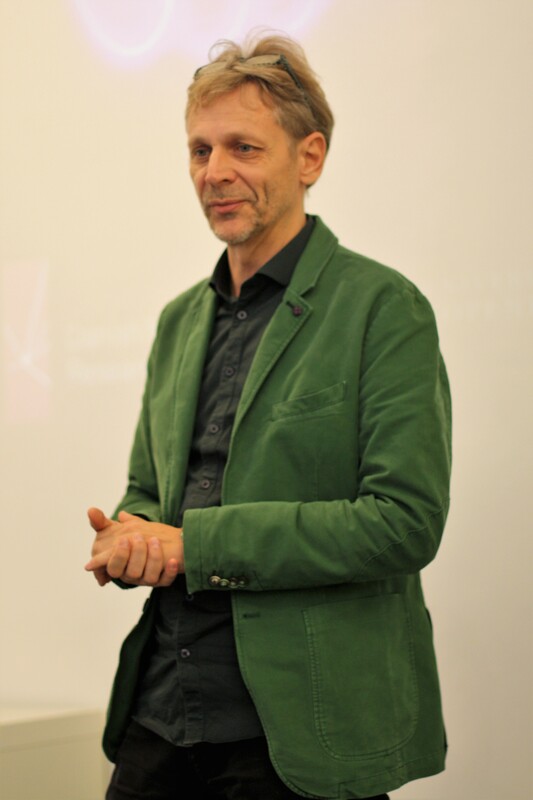 At the October 25 event, scientific talks were given on new research areas driven by the development of telescopes and supercomputers from Hjorth, Ramirez-Ruiz, and five young researchers: Christa Gall, Fragkos Anastasios, Giorgios Leloudas, Radoslaw Wojtak, and Jane Lixin Dai. The director of the DNRF, Søren-Peter Olesen, congratulated Ramirez-Ruiz and Hjorth on their scientific results and remarked on the good timing of the Niels Bohr Professorships coinciding with the cosmic event. Jan Thomsen, head of the Niels Bohr Institute, and Thomas Sinkjær, director of the Villum Foundation, also congratulated Hjorth and Ramirez-Ruiz.